Help us create New Zealand's largest river park and the Mighty Clutha River Trail. 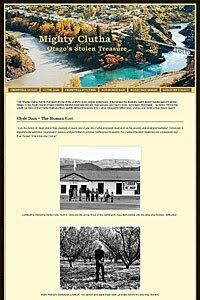 To protect and improve the natural, recreational and cultural values of the Clutha Mata-Au River corridor by creating a regional river park and trail. 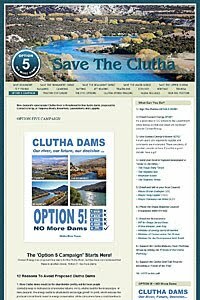 In April, 2009, Contact Energy proposed four dams on the Clutha River, so dam opposition groups proposed OPTION 5, NO More Dams! 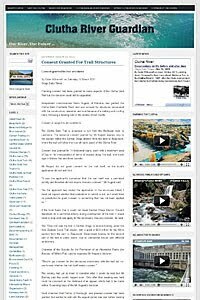 In May of 2012, all dam plans were cancelled. 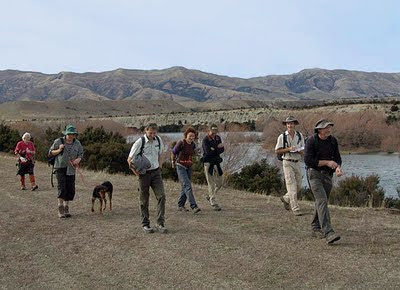 Members of the Upper Clutha Tracks Trust, Parkway Group, Clutha Gold Trail Trust and DoC, scouting the route for the Albert Town to Luggate track in May, 2007. John Pawson, as always, out in front. The driving force for trails along the Lower Clutha, the CGTT is based in Roxburgh and is planning a trail from the Roxburgh Hydro Village to Lawrence. Chairperson Rod Peirce is on the Executive Committee of the Parkway Group, and is also the Group's Trail Liaison Officer for the Lower Clutha. The Gold Trail Trust is well placed to liaise with other community groups involved in trail development. The Clutha Gold Trail represents a major section of the future contigious trail from Wanaka to the Pacific. The CGTT is also working with the Beaumont Resident's Group and others, investigating and planning the trail that will follow the Clutha River down the true left of the bush-lined Rongahere Gorge to Tuapeka Mouth, and beyond. 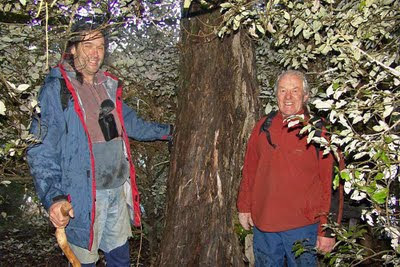 Bill Dacker (left) of the Beaumont Residents Group, and Rod Peirce (right) Chair of the Clutha Gold Trail Trust, scouting a track route through the Rongahere Gorge, in June 2007. A dialogue and knowledge platform, with a global database, sharing information about river basins across the world. Since 1985, International Rivers has been at the heart of the global struggle to protect rivers and the rights of communities that depend on them. We seek a world where healthy rivers and the rights of local communities are valued and protected. We envision a world where water and energy needs are met without degrading nature or increasing poverty, and where people have the right to participate in decisions that affect their lives.